In my last post (Building a Platform for Your IoT Strategy: Part 1) I attempted to set the scene for the IoT data explosion and the difference between the data collation points of a data center (DC), and the data collection and feedback points of an IoT device. In short, crunching the data at the DC to send an email or app alert for the latest price drop on an ‘in basket’ item at two in the morning, isn’t the same as a critical component fault that needs instant alerting. As I was once told by a very wise man ‘a good consultant should make you aware of problems, but should also come armed with the solution’, so with part 1 setting out the problems facing the CIO with the IoT shift, I’d like to use part 2 to set out the Riverbed solution. Being a storage guy I’ll be focusing on the data usage and data security side of the IoT story, but also pulling into play the other Riverbed technologies to demonstrate a full end to end solution. For the IoT shift to be successful it’s going to need two major things; data at the DC to generate value and the same data at the Edge (we’ll use this to describe any location for an IoT device) to give instant feedback, and this is what we’ll focus on. The example used in part 1 was that of a crane and the detection of an incorrectly balanced load, telling the operator 20 minutes after the event is no good to anyone, but the data is still relevant for both time frames. 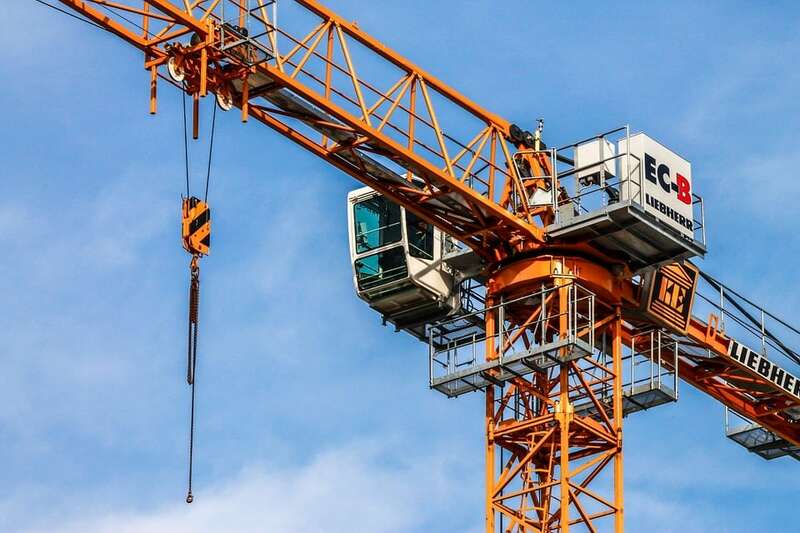 The operator needs it now to avoid a dangerous situation, and Crane & Co need that data to determine how accurate the sensor was, what’s the wear and tear of the hardware, the manufacture code for cross examination from different cranes etc. So how do you keep the data authoritative and instantly available for the crane operator, while at the same time useful in the DC for business analytics (analytics refers to any type of data manipulation in this instance)? Riverbed SteelFusion technology simply projects an authoritative copy of the data from the DC to the Edge site. Using a combination of a SteelFusion Core in the DC and a SteelFusion Edge Device at the Edge site, SteelFusion is able to autonomously synchronize any new data written at the Edge and replicate that back to the DC over the WAN. The means that when data from the crane’s sensors writes back to the SteelFusion Edge Device, that data is instantly acknowledged and cached locally on site, while in the background and invisible to the user, it is automatically copied back to the DC (block for block) to the DC storage array. Data without the compute to access it is next to useless, which is why there is also an independent hypervisor node (VMware at the time of writing) built-in to the SteelFusion Edge Device. Attach the storage (intelligent storage cache) to a virtual machine or virtual appliance to give it instant access to the data, ready for reporting back to the operator. Have that virtual machine or appliance also built on the SteelFusion intelligent storage cache and in the event of a disaster, it can be projected out to a new SteelFusion Edge Device in a matter of minutes! 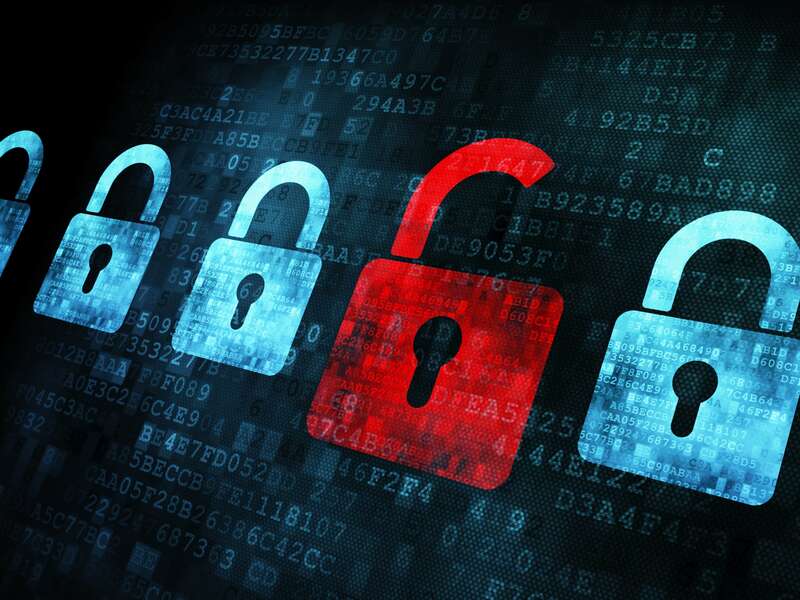 With data at the Edge giving the instant feedback and responses necessary, there is then the question of data security. This falls into two camps; malicious intent and accidental loss. What happens if someone simply steals the SteelFusion Edge Device and all the data on it, and what happens if someone accidentally deletes it? A security and backup strategy on every remote site does nothing to ease any kind of management headache! Out of the box and with two mouse clicks, the SteelFusion Edge Device can be configured for full TOP SECRET certified 256bit data encryption at rest, narrowing the attack footprint to zero servers and zero data access without the SteelFusion Edge Device password. Data backup is done in the DC due to the nature of how SteelFusion projects data from the DC to the Edge. No backups are done at the Edge, instead the data is orchestrated at the DC to be available directly to the DC enterprise backup infrastructure. The SteelFusion architecture offers both high availability and disaster recovery at the DC and the Edge, providing instant recovery from onsite hardware loss, and up to the second recovery points for total site loss. Gluing this Edge infrastructure together is Riverbed SteelConnect Software Defined WAN technology. Capable of Zero Touch Provisioning and pre-emptively building out Edge sites ready for deployment on appliance arrival, SteelConnect offers a single management, single click infrastructure for both private and public cloud network connectivity. Combined with Riverbed’s industry leading SteelHead WAN optimization technology, network connectivity and application optimization are benefiting from being routed and served over the most optimal links for the best performance. 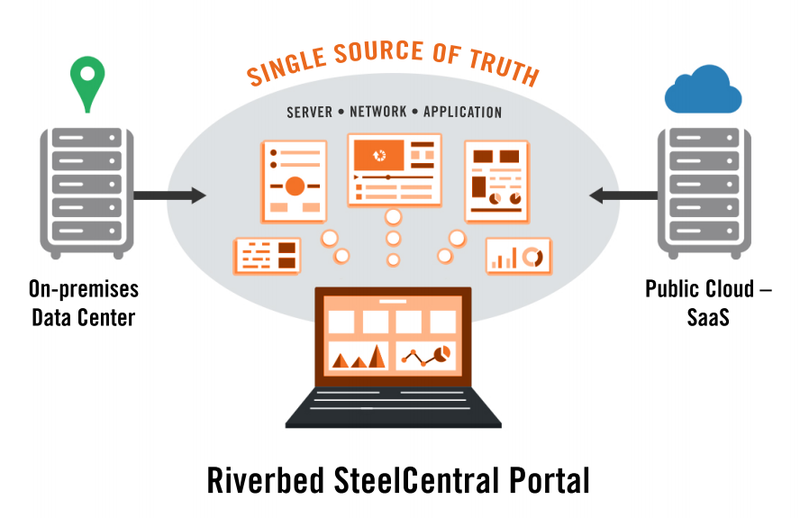 With data organized and secure, WAN connections fully meshed and optimized, it’s down to Riverbed SteelCentral portfolio to keep an eye on the performance. From deep packet analysis of traffic over the network through to the lines of code causing delays on the SQL queries, SteelCentral means that from end user devices, the network, the web servers and the application servers, performance can be proactively monitored and logged to give pin point solutions to performance issues. SteelCentral Portal wraps all these detailed and discrete data points into a single, full performance picture, removing the ‘mean time to innocence’ finger pointing and providing valid and consistent data metrics for server, network, and application teams to troubleshoot performance issues. While Riverbed hasn’t quite built a SteelFusion Edge Device that fits into a fridge or the bottom of your shoe, they have put together an Edge centric performance platform, which means for the thousands or even hundreds of thousands of sensors that are collecting data globally, a single vendor infrastructure can be put in place to manage this vast data explosion. 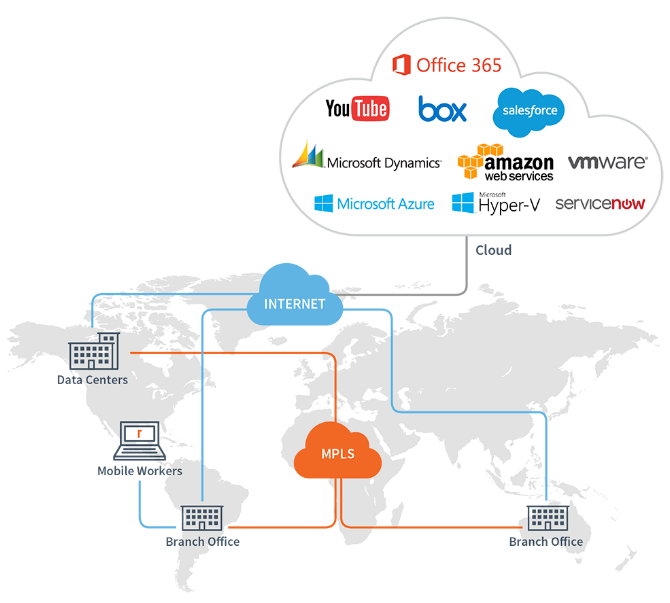 With data consistency and security over optimized and fully connected networks, Riverbed can protect, deliver, and monitor data and applications from one global command centre, ensuring the data driven IoT strategy of the business is fully realized. For more information on the Riverbed Application Performance Portfolio, visit our website.